Ella viaja en sus sueños. 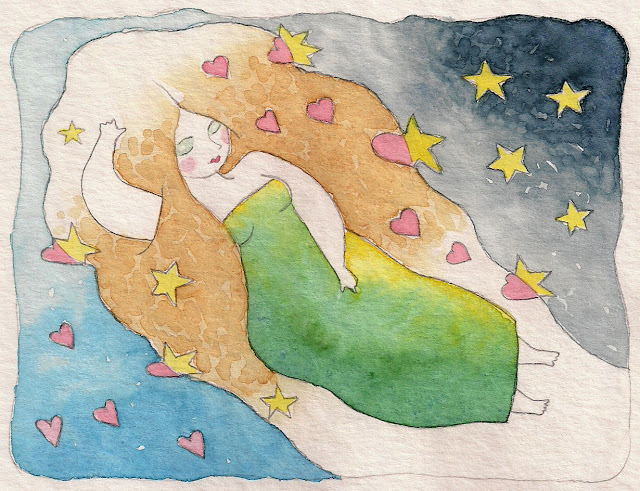 She travels in her dreams. I think 'voluptuous' is the word for her. Hmmm, I want to sleep like that!